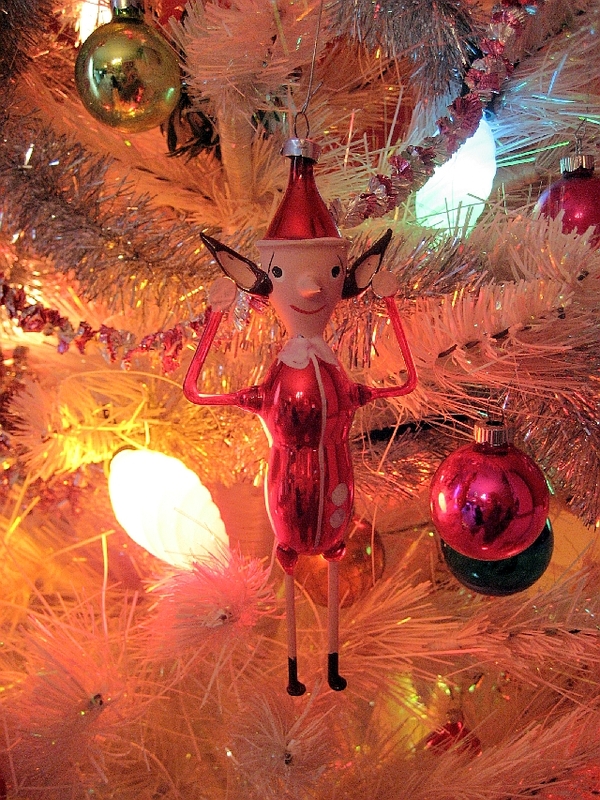 I love vintage christmas and I love funky, kitschy christmas. 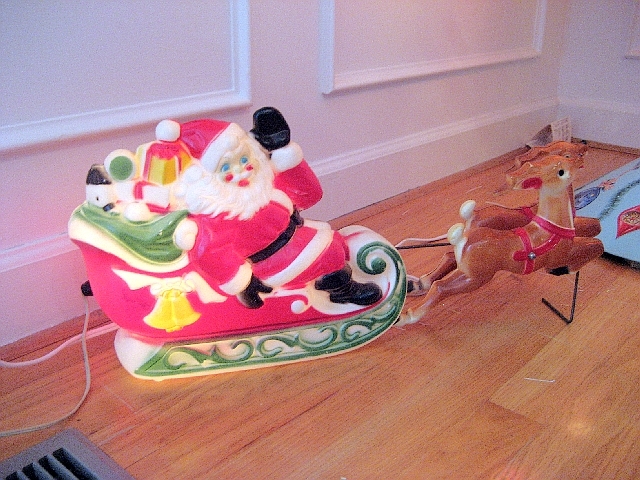 This is one of my absolute favorite vintage decorations. It is a totally groovy disco santa ball. 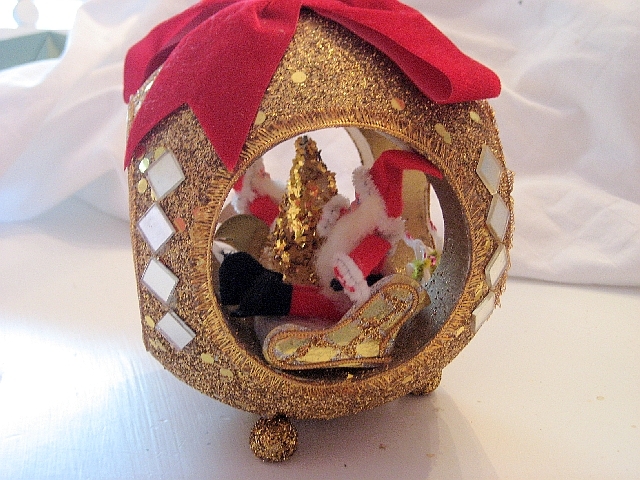 It has little ball feet, it is a round ball with four openings, covered in gold glitter and don’t ya just love the disco mirrors! These things just put a happy smile on my face. I love my dream pet collection. 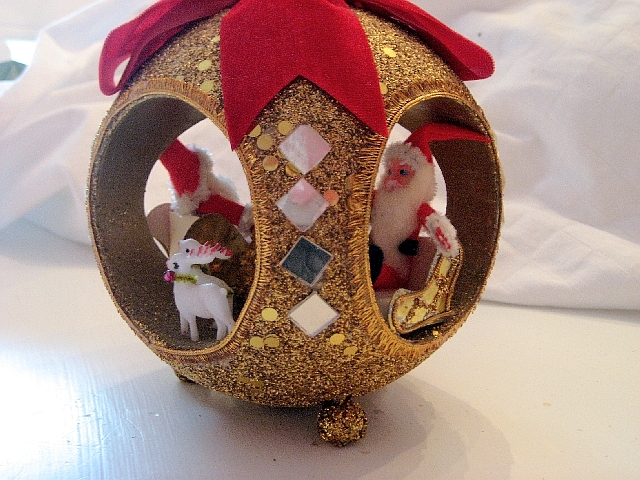 This ornament is vintage italian blown glass and very special. girl you have some treasures there! Love all of them. really like the little elf. cute. 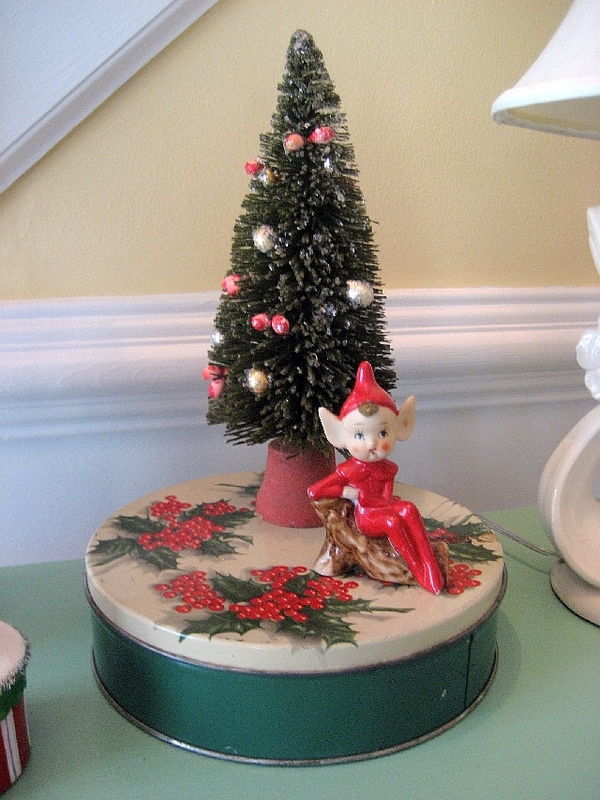 Love the tiny bottle brush tree display with the vintage tin and elf. (We don’t tend to start our Christmas decorating here in the UK until mid-december) The shops start earlier though! 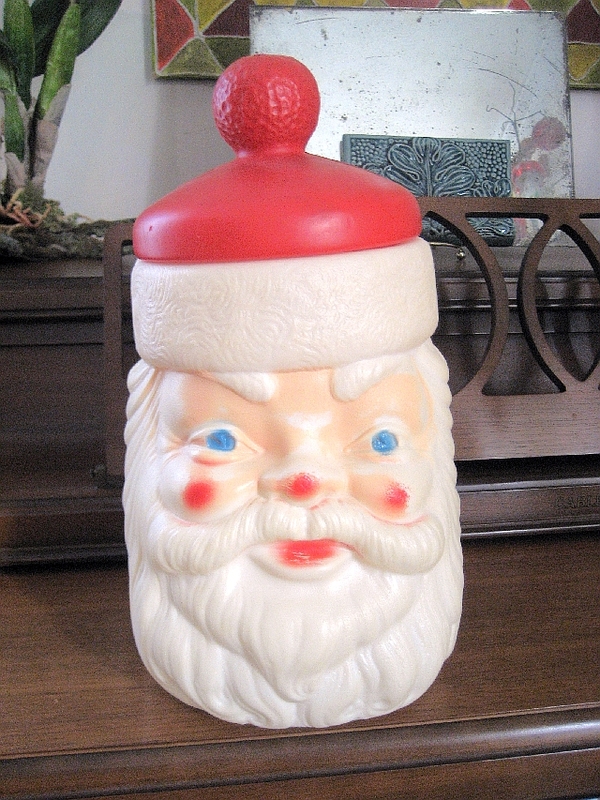 Great cookie jar! That little pixie has such a seductive pose- yes, I am smiling. A couple of my “kitchy” favorites- those sequins on felt pieces- (stockings, door knob covers, light switch plates) that you know somebody stayed up late sewing on all those sequins, and the Christmas trees made of old jewelry- but some of those go beyond kitchsy and really are art. I’m definitely smiling! I esp. love the dream pet collection! Too fun! That just made me smile! I’m just getting up to date on everyones recent posts. Super cute vintage goodies! NINE TREES!!!! You go girl! ooo! I remember some of those! I have some vintage ornaments from NE antique shop I am making into a wreath! I love Christmas kitsch, too! 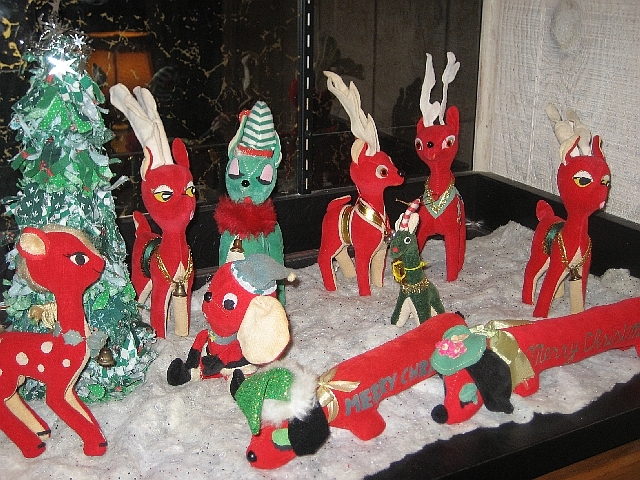 Those reindeer & autograph hounds remind me of my childhood. I don’t think I’ll ever have a grown-up sophisticated decor…I love too many fun, cute vintage things.